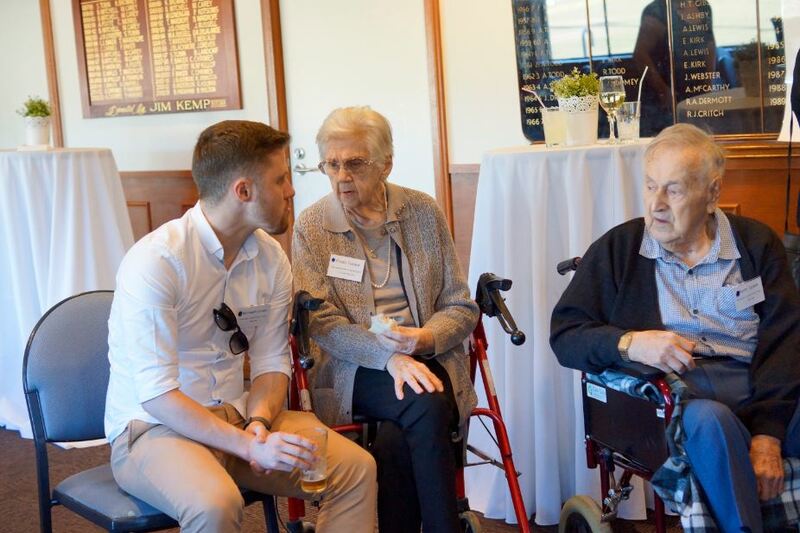 Through Bruce Tyzack’s and my project to put together a book about our Australian ancestors and current family members, the idea to bring together the family was born. 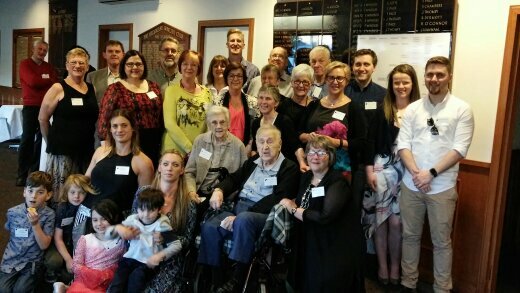 In 2016 approximately 80 family members met in Melbourne – for most of us, it was the first time for meeting the majority of the family. I think we all remember those days with huge smiles. Last night Chris, Jack, my sister June and I enjoyed a wonderful few hours, dining on tasty fish caught in local waters, at Mures Restaurant on Hobart’s glorious waterfront. Despite a downturn in the temperature outside, our constant chatter was very warm. If you are getting together with other family members that are not normally part of your family circle, please let me know and I will publish your stories here. Or if there is a special occasion involving a celebration within your part of the family, there is a story in that which will interest other family members. Of course, when there are deaths or births of Tyzacks I want to acknowledge those changes in this blog as well. So please keep the stories coming. Please keep the contacts coming. Please keep the meetings coming. Michelle (nee Tyzack) and Will Bolitho welcomed into the world the much loved Jacob William Bolitho on Saturday 21st April 2018. Grandparents Bruce and Chris Tyzack are extremely happy that Jacob has arrived and all are well, as are their other family members. 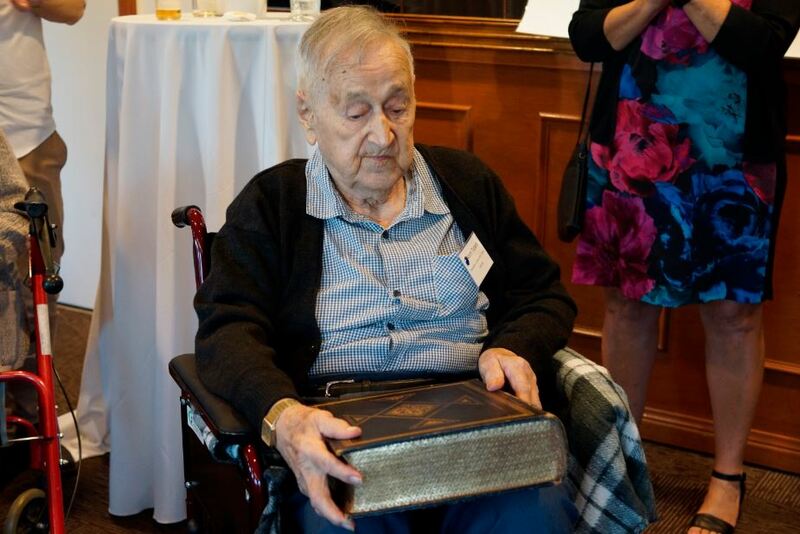 It is with great sadness this blog post records the sudden passing of Karl Raymond Tyzack on Friday 19 January 2018. Born on 6 March 1980, Karl was only 37 years old. 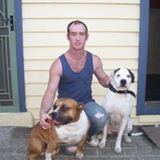 Ever since a dreadful motor vehicle crash which left him badly injured, his health had declined. He was the loving son of Ray and Ellen Tyzack and brother to Scott, partner to Simone, and father to Jaiden, Kaleb, Zane and Caine. Karl will be much missed by his immediate family, his extended Tyzack family, and friends. His funeral will be held in Bendigo on Friday 2 February. My condolences to all. May he rest in peace. 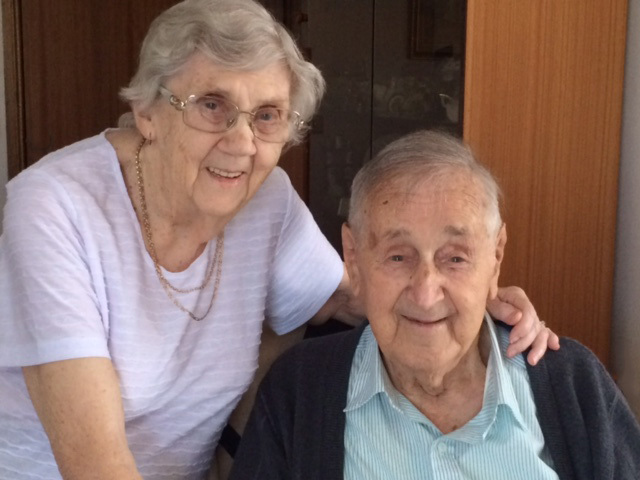 It is with great sadness I must report that Norman Oswald Tyzack (Norm), who was born on the 20 May 1927 the son of Leonard Victor and Annie Dora Tyzack, died peacefully and without pain on Sunday 20 August 2017. The funeral service will be held next Tuesday 29th August 2017 at 1.30 pm. The location is Tobin Brothers Funerals at 111 Wheatsheaf Road, Glenroy, Victoria 3046. Norm was the youngest and the last survivor of five Tyzack siblings; Arthur, Leonard Benjamin, Unnamed, Victor Thomas and Stanley Howard. 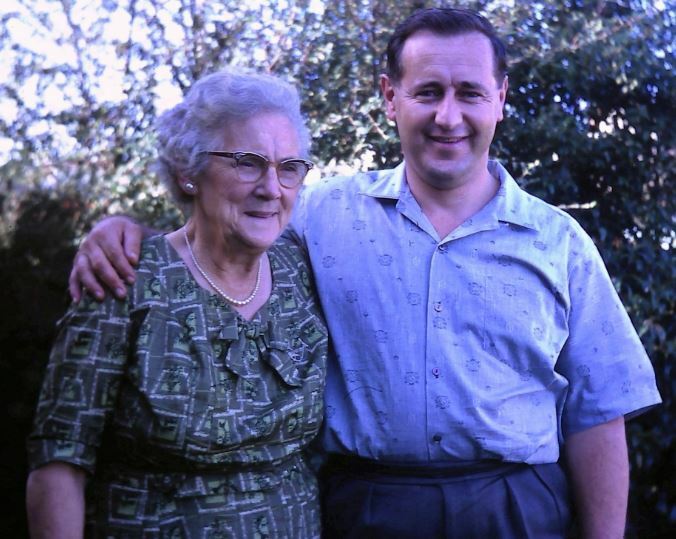 Almost 64 years ago, Norm married Freda. With wife Freda, Norm had three children: Bruce, Heather and Margaret. Each married and their families have grown up. Through Bruce, Norm had two grandchildren and one great grandchild. 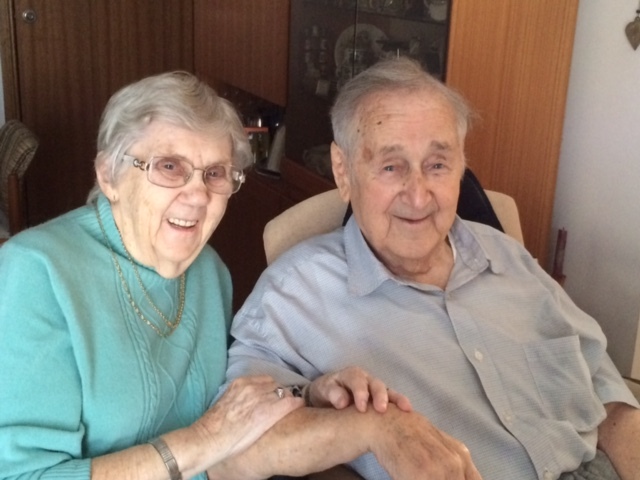 Through Heather, Norm had two grandchildren and two great grandchildren. Through Margaret, Norm had three grandchildren and one great grandchild. 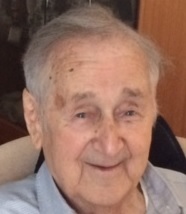 Norm was very proud of his family and much loved by all. 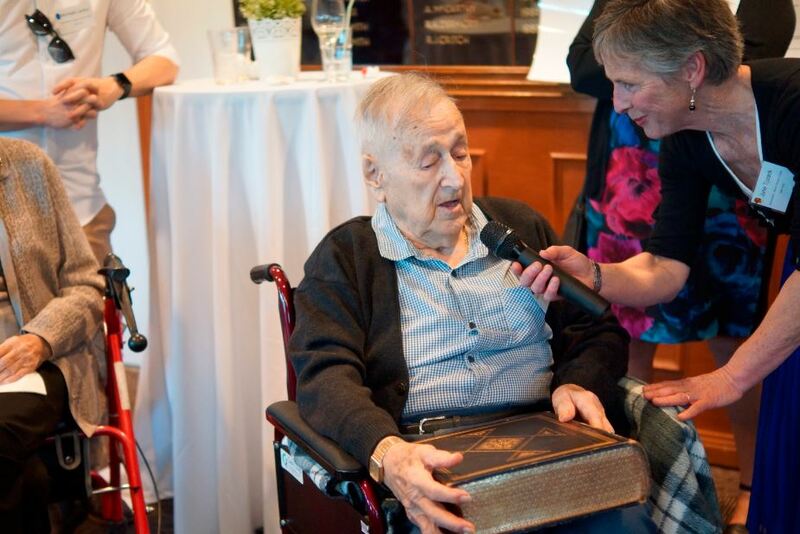 Norm became the centre of attention at the Tyzack family’s 150th anniversary gathering last year, when he took on the hefty responsibility as the official caretaker of the Tyzack Bible. When interviewed it was clear Norm took the receipt of this tome very seriously. 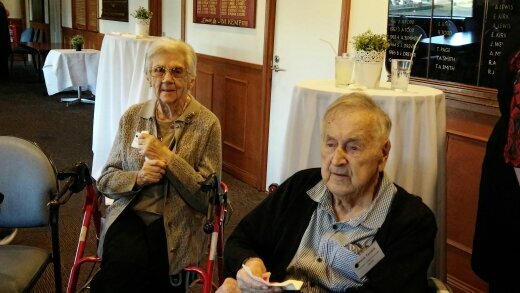 Below are an assortment of photos featuring Norm and Freda, at that anniversary gathering. I find I am quite emotional about Norm’s passing. He was always friendly to me, and I liked his twinkling eyes. Norm’s passing is a reminder of our mortality – and how now there are quite a few of us that represent the next generation who are ageing. The next generation are as follows (with their birth year); some with the Tyzack surname and others with new family names. Joan (nee Burridge) was born on the 4th April 1928 and died on the 10th August 2017. Family members and friends are invited to attend her funeral. The funeral service will be held at Le Pine Chapel, 21 McDonald Street , MORDIALLOC, Victoria on Tuesday, 22nd August 2017 at 02:30 PM. Joan married Stan Tyzack on the 18th of September 1954. Apparently Joan worked in the office in his workplace, Hill &Co. (an accountant, estate and business agency) . It is not known the date when Joan commenced this employment nor when they met, but Stan had been working with the firm since 1939. Late in 1965, Joan’s sister Audrey commenced work for the firm. In the 1960s two daughters entered their family; Lynne (20/10/1961) and Julie (23/8/1963). The photo below shows Julie, Joan and Lynne in the 1960s. 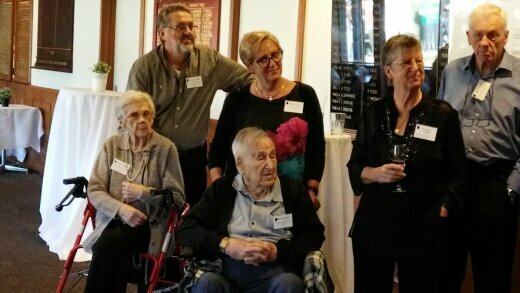 During the preparation of the book William Baker Tyzack and his descendants in Australia, and when planning the Tyzack 150th family anniversary, I exchanged letters with Joan and had lengthy phone discussions. She was a thoughtful, interesting woman who was open and a pleasure to talk with. Faced with a series of ongoing health problems, Joan was never despairing but hopeful. As such she presented as a wise role model for dealing with the vicissitudes of ageing. Unfortunately we never met. This month, I and the world has lost a wonderful friendly soul. A very delighted Bruce Tyzack and family have welcomed a new Tyzack to the world this week. On Monday afternoon, 10 July 2017 young Harry Tyzack was born to Jeremy and Shelley Tyzack. All well and very happy. Congratulations! I know my grandmother, Louisa Caroline Tyzack wife of Harold Gordon Tyzack (grandson of William Baker Tyzack) received the Order of the British Empire (Civil)/British Empire Medal (Civil) on 1 January 1975. This medal, usually referred to as the BEM, was the Queen’s way of rewarding service to the British Empire in the United Kingdom and abroad. Specifically it recognised my grandmother’s voluntary community work over decades. I wonder how many Tyzack family members have been recognised with a Queen’s birthday honour. Please let me know if you are one.